Smart Contracts are digitally signed and verified contracts that use protocols to facilitate and enforce the parameters of it’s performance. Blockchain technology has made leaps and bounds in areas that were not possible to make trustless without many clauses and in-depth contracts that would normally require a lawyer to write-up. Smart Contracts offer a way to pay an individual or business for a service only once the work is complete and the results have been verified. For example an SEO company could enter into an agreement where they will only get paid the agreed amount on completion of a goal. i.e. When your chosen keyword reach a certain ranking. This guarantees a winning deal! This is also great news for service providers as it removes the headache of late or non-payment. For customers it removes doubt on whether a they are actually going to follow through on a deal. It could also be used for any number of agreements that would normally require some amount of trust. Performance Milestone Payments- Predetermined milestones which are automatically verified and recorded could be paid as a certain projects milestones are completed or entirely based on performance. Loan Agreements- A smart loan agreement might automatically deposit funds into the borrower’s bank account once an oracle (Centralized blockchain) gets the information that the application has been approved. 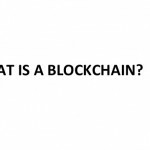 PREVIOUS Previous post: What is a Blockchain and What’s All The Fuss? 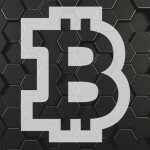 NEXT Next post: Block Reward Halving 2016- What Will Happen To The Price?